The brain holds in mind what has just been seen by synchronizing brain waves in a working memory circuit, an animal study supported by the National Institutes of Health suggests. The more in-sync such electrical signals of neurons were in two key hubs of the circuit, the more those cells held the short-term memory of a just-seen object. Charles Gray, Ph.D., of Montana State University, Bozeman, a grantee of NIH’s National Institute of Mental Health (NIMH), and colleagues, report their findings Nov. 1, 2012, online, in the journal Science Express. “This work demonstrates, for the first time, that there is information about short term memories reflected in in-sync brainwaves,” explained Gray. “The Holy Grail of neuroscience has been to understand how and where information is encoded in the brain. 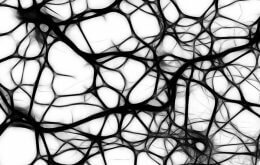 This study provides more evidence that large scale electrical oscillations across distant brain regions may carry information for visual memories,” said NIMH director Thomas R. Insel, M.D. Prior to the study, scientists had observed synchronous patterns of electrical activity between the two circuit hubs after a monkey saw an object, but weren’t sure if the signals actually represent such short-term visual memories in the brain. Rather, it was thought that such neural oscillations might play the role of a traffic cop, directing information along brain highways. To find out more, Gray, Rodrigo Salazar Ph.D., and Nick Dotson of Montana State and Steven Bressler, Ph.D., at Florida Atlantic University, Boca Raton, recorded electrical signals from groups of neurons in both hubs of two monkeys performing a visual working memory task. To earn a reward, the monkeys had to remember an object — or its location — that they saw momentarily on a computer screen and correctly match it. The researchers expected to see the telltale boost in synchrony during a delay period immediately after an object disappeared from the screen, when the monkey had to hold information briefly in mind. The degree of synchronous activity, or coherence, between cells in the areas was plotted for different objects the monkeys saw. Brain waves of many neurons in the two hubs, called the prefrontal cortex and posterior parietal cortex, synchronized to varying degrees — depending on an object’s identity (see picture below). This and other evidence indicated that neurons in these hubs are selective for particular features in the visual field and that synchronization in the circuit carries content-specific information that might contribute to visual working memory. The researchers also determined that the parietal cortex was more influential than the prefrontal cortex in driving this process. Previously, many researchers had thought that the firing rate of single neurons in the prefrontal cortex, the brain’s executive, is the major player in working memory. Since synchronized oscillations between populations of cells distinguished between visual stimuli, it’s theoretically possible to determine the correct answers for the matching tasks the monkeys performed simply by reading their brain waves. Similarly, synchrony between cell populations in the two hubs also distinguished between locations. So the location of visual information, like object identity, also appears to be represented by synchronous brain waves. Again, researchers previously thought that these functions had mostly to do with the firing rates of neurons. So the new findings may upturn prevailing theory. In addition to NIMH, the research was also supported by the NIH’s National Institute on Neurological Disorders and Stroke (NINDS). Note: On Monday, November 05, 2012, the correct citation was added to the end of the release.